A new study by a graduate student in the University of Toronto's Faculty of Applied Science & Engineering measured significant concentrations of traffic-related air pollution near roadways in the small island nation of Trinidad and Tobago, reaching levels comparable to highways in major urban centres like Toronto and Detroit. 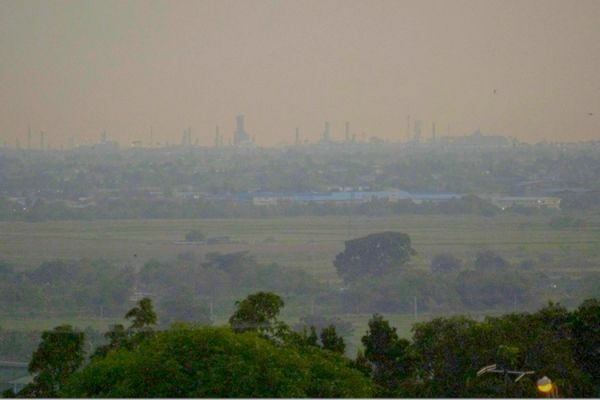 The study of local emissions conducted on the two islands of Trinidad and Tobago is among the first of its kind. It was led by PhD candidate Kerolyn Shairsingh under the supervision of Professor Greg Evans in the department of chemical engineering and applied chemistry. The team focused primarily on black carbon – also known as soot – which has been linked to negative health outcomes, including lung conditions and cancer. Their findings were recently published in the journal Science of the Total Environment. Continue reading at University of Toronto. Image via University of Toronto.